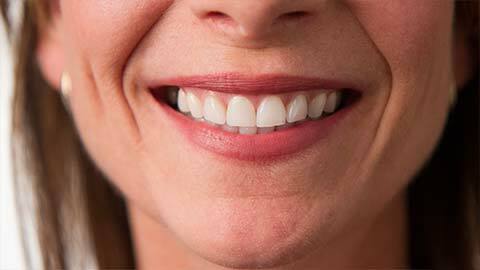 It's essential that your teeth have a solid foundation of healthy gums and strong bone. Periodontal disease (gum disease) is a chronic bacterial infection that affects the gums and bone supporting your teeth. Use a good toothbrush: We recommend using a basic soft or extra-soft toothbrush. Using a hard-bristled toothbrush incorrectly can cause your gums to recede. Floss daily: Flossing removes the plaque and debris that collect between the teeth and under the gumline, where your toothbrush can’t reach. Consider a dental rinse: Dental rinse kills the odor-causing bacteria and plaque that can lead to gum disease. Fluoride treatments: Fluoride is a mineral that helps defend teeth against decay. Maintain a regular dental schedule: Professional teeth cleaning and regular check-ups -- along with your at-home care routine -- will help keep your teeth and gums healthy. It’s important to work hard at maintaining healthy gums and preventing periodontal disease (gum disease) -- a chronic bacterial infection that affects the gums and bone supporting your teeth. If not adequately treated, gum disease can result in loose teeth and ultimately tooth loss. Early detection and treatment are the key to successful treatment. If you need more information about Gum Disease in Edmonton, contact us today.